Our Laughter Yoga Wellness Training Academy are training new leaders throughout the year, may of them are in London so give us a call if you can’t find a club nearby. 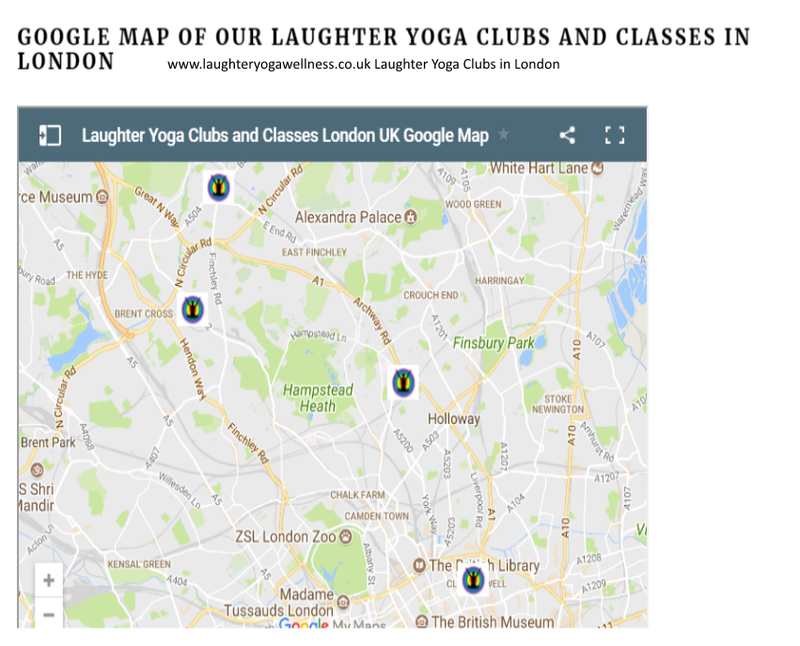 We will soon be launching a new map via www.laughteryogaclasses.co.uk which will accommodate a more comprehensive list of opportunities to Laugh! for the health of it across the UK. and to book on a class please visit https://www.eventbrite.co.uk/o/laughter-yoga-wellness-london-workshops-and-training-9871639126 and scroll to the bottom of the page for dates and locations for our London laughter yoga classes. Laughter Yoga for for Red Nose Day We made our laugh matter more so than usual! We had a fabulous laughter class with all proceeds donated to Red Nose Day. Following on from the laughter we headed to The Bread and Bean Cafe in Archway where the laughter continued over a cuppa. In total Laughter Yoga Wellness raised £74 for comic relief. We were part of a team of Laughter Professionals who held Laughter Clubs and events throughout the UK with a Team Total of over £700 raised by Laughter Yogis for Red Nose Day. Special thanks to my laughter colleague Maggie who inspired us all to get involved. Thank you Odette, it was the highlight of our Mental Health Awareness Week programme. Something so different, fun and beneficial to staff stress levels and overall health.